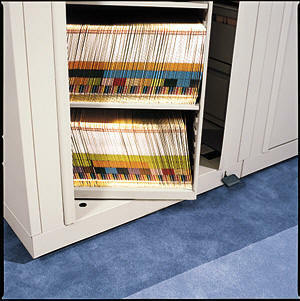 Rotary files can hold both top tab , end tab files, binders, and other media. 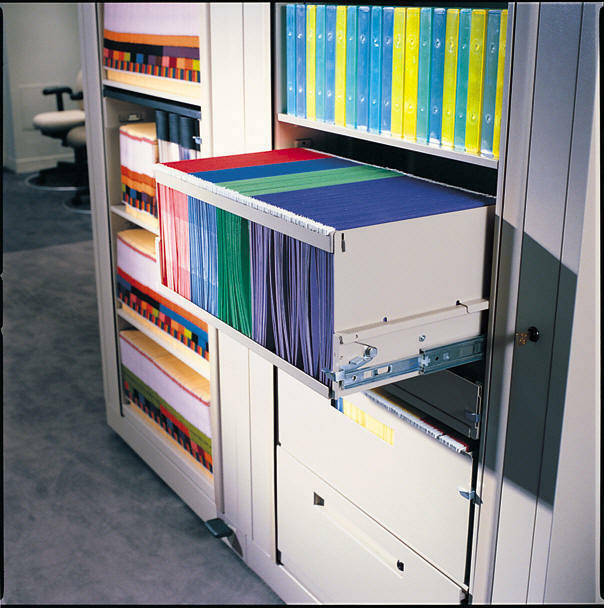 Rotary files save more space than standard file cabinets.These rotary files pivot, which allows two sides of files to be accessed. These units are also HIPAA compliant because you can rotate them a 1/2-turn to lock them. 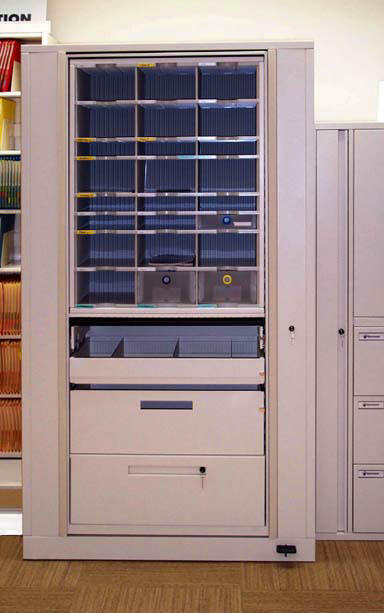 These locking cabinets are a high density filing solution that will provide twice the file storage in the same space. The Rotary files pivot on their lifetime warranty base. 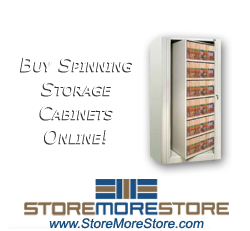 For high density files in Texas or Oklahoma, think rotary cabinets.